Two Syracuse University Reserve Officers’ Training Corps (ROTC) cadets have achieved prestigious honors; Cadet Bethany Murphy has been awarded the National Oceanic and Atmospheric Administration (NOAA) Ernest F. Hollings Undergraduate Scholarship and Cadet Battalion Commander Ashlynn Borce has been accepted into the prestigious Army-Baylor University Doctoral Program in Physical Therapy. In addition to being a student in the College of Engineering and Computer Science and a member of Syracuse Army ROTC, Murphy volunteers at Syracuse’s Museum of Science and Technology (MOST) and is involved with Engineers without Borders (EWB) and Global Student Embassy (GSE). 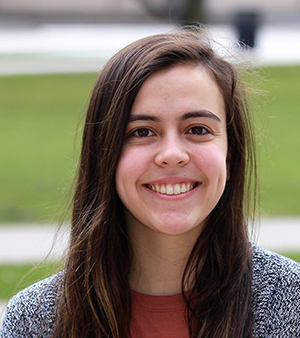 She will travel to Guatemala this year as part of a GSE research team working to provide clean drinking water to a community in a remote part of the Central American country. Murphy worked with the Center for Fellowship and Scholarship Advising (CFSA) to secure the NOAA scholarship. CFSA offers candidates advising and assistance with application and interview preparation for nationally competitive scholarships. 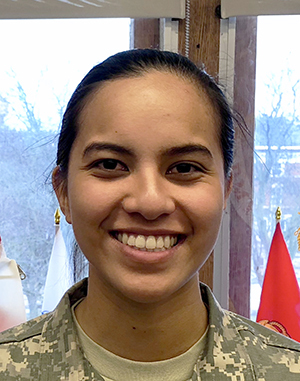 Borce ’18, a senior health and exercise science major from Honolulu in the School of Education, has been accepted into the prestigious Army-Baylor University doctoral program in physical therapy (DPT). Ranked in the top 10 of over 200 physical therapy programs in the country by U.S. News & World Report, the Baylor DPT program prepares highly qualified students such as Borce to serve as both active-duty officers and as military physical therapists. Borce, who will begin the program in fall 2019 while serving as a second lieutenant, will study at the historic Fort Sam Houston, home of military medicine, in San Antonio, Texas. The DPT program is part of the Army Medical Department Center and School, as well as the Health Readiness Center of Excellence. The army will fund Borce’s doctoral study in addition to her salary as a second lieutenant. An active member of Syracuse Army ROTC, Borce is a member of the Command Team and previously traveled to Mongolia for the Army ROTC’s Cultural Understanding and Language Proficiency Program mission, helping teach the Mongolian military English. These achievements mark three occasions of female student ROTC success in as many weeks, as Cadet Executive Officer Jacqueline Page was named a University Scholar, Syracuse University’s highest undergraduate honor, earlier this month.